The one thing that carries the most weight for the majority of people is a recommendation from a friend. Any business that has poor word-of-mouth is dead in the water until they turn things around. For those seeking out a pre-owned car there are two choices, go private or go to a dealer. Unless you are buying from a friend or a friend of a friend, it’s hard to know if you can trust the seller, but when it comes to Airdrie dealerships, you can be certain that one name will ring out more than any other, and that’s House of Cars. Our goal is to offer the general public quality pre-owned vehicles that we have checked and assessed for sale to ensure that you get the best possible deal from a dealership that hundreds and thousands of Canadians have trusted over the past 6 years. Here at House of Cars Airdrie, our approach is simple, make things fun, friendly and transparent. We don’t want you to drop in just once and buy one car and then never return. No. Instead, we would much prefer to hear what you need, find the perfect solution and earn your trust, so that when the time to change rolls around again, we are the go-to team that is at the top of your mind. The simplest way to determine whether you will even walk onto the lot of a car dealership these days is to jump on the Internet and have a browse of their social media pages and the Google reviews that past customers have left. 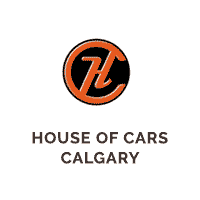 The good news for you is that here at House of Cars Calgary, our reputation precedes us. We are immensely grateful to our loyal customers for their positive comments to date. What’s more, we are even more thankful for their votes of confidence, which have earned us Best Used Car Dealership awards from Top Choice Awards, Calgary Metro Community Choice and Calgary Herald Reader’s Choice Awards, for 2016, 2017 and 2018. Few, if any other Airdrie car dealerships have quite the same reputation as us, and our goal is to continue this streak for many years to come. In terms of what else you should expect from your car dealer, financing options should be a major factor and something that if they cannot provide, you should consider looking elsewhere. Fortunately for those living in Airdrie, here at House of Cars, we have our very own finance department ready, willing and able to tailor options to your specific circumstances so that you can access the kind of vehicle you want and comfortably cover the repayments. Finally, the last thing you want from the car dealer that is supposed to be working with you is pressure. Any sort of attitude or sense that they are losing patience with you is a red flag that you should heed. Rest assured, here at House of Cars Airdrie, high-pressure tactics are not part of our business. Having a choice is a wonderful thing, and we believe in the customers making the best decisions for themselves. At House of Cars Airdrie we want you to have an exceptional experience when buying a pre-owned car from us. Our team is committed to bringing the best possible customer service to the lot every day so that our customers feel valued and that their needs are the first and only consideration that enters into the process. So, when you’re thinking about approaching dealerships in Airdrie and want to make the most of your time while getting the most bang for your buck, seek out the team here at House of Cars Airdrie Monday through Saturday, or by appointment on Sunday if that’s what works best for you.